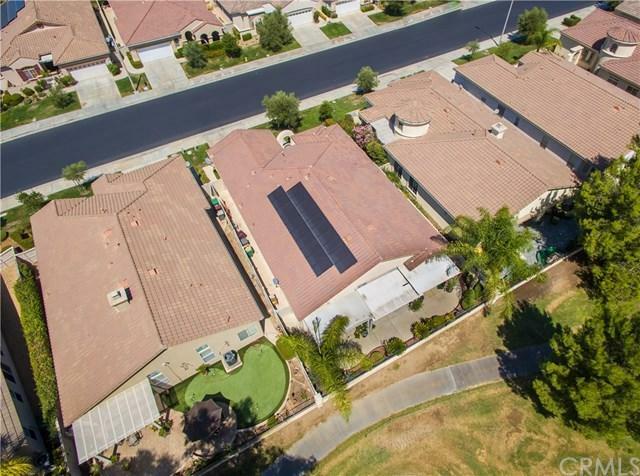 AWESOME GOLF COURSE HOME WITH PAID FOR SOLAR! 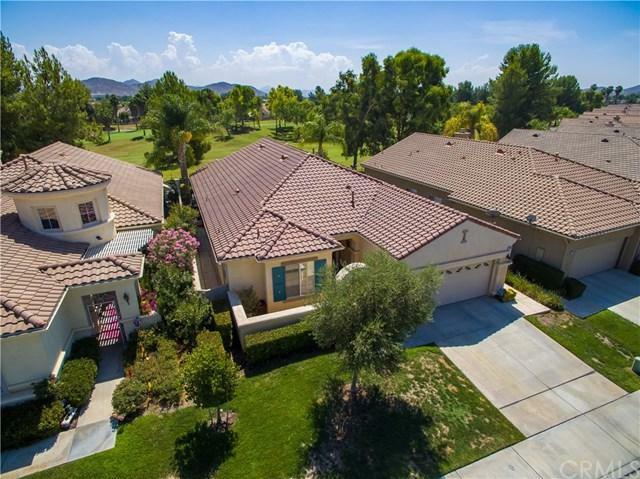 From the moment you arrive at 29398 Winding Brook Dr. in the 55+ Oasis Gated Community in Menifee CA, you see the pride of ownership. The large courtyard & Leaded Glass Double Door Entry draws you into the impressive Foyer of this Barcelona floor plan. 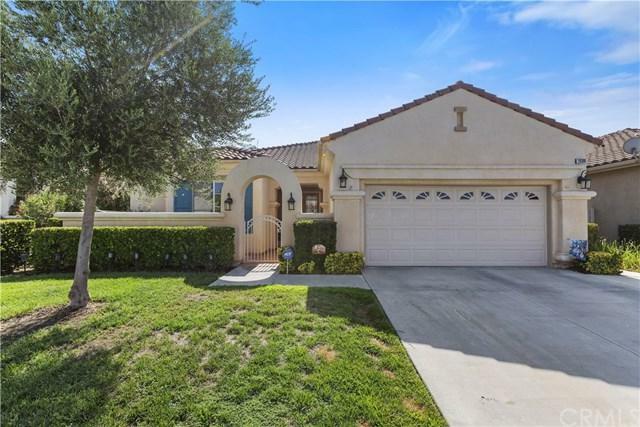 The entry flows into the Formal Living and Dining Room with French Door access to an Entertainers Patio with an East facing Golf Course View. This remarkable 2 Bed, (w/optional 3rd), 2 Full Bath & Rare Guest Powder Room is ready for you. From the amazing Custom Kitchen Cabinetry complete with Pan Drawers complimented by the Gorgeous Granite Counters, a Double Oven, a Large Island, a Modern Stone Sink, Modern Fixtures, and a Casual Dining area, the Chef in the house will be delighted. The kitchen has direct access to the Family Room offering a Fireplace & direct patio access. The Large Master Suite offers a large Soaking Tub, Dual Vanities, a Walk-In Shower and Spacious Walk-In Closet. The garage is oversized with Space for a Golf Cart. 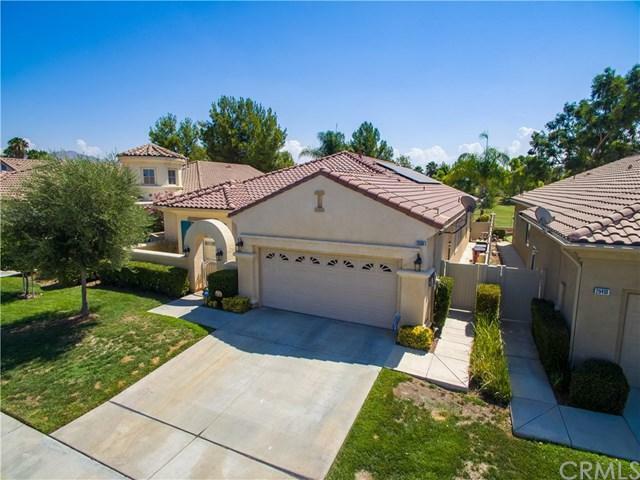 And more+G-Engineered Hardwood and Tile Flooring throughout, Crown Molding, Modern Baseboards, Surround Sound, Soft Water System, Jack & Jill Bath, Utility Sink in Laundry Room, Trey Ceilings, Low Maintenance Backyard, Sun Screens & Water Softener. No detail has been missed! Homeowners will enjoy the best of community amenities including a 22,000 SF (est) Club House, Front Yard Maintenance, Water & Trash paid by the HOA & Low Property Taxes. Sold by Bill Robinson of Re/Max Real Pros. Inclusions Solar Panels On The Roof.